23 August – Indonesia is culturally rich. Indonesian art and culture are intertwined with religion and age-old traditions from the time of early migrants with Western thoughts brought by Portuguese traders and Dutch colonists. In efforts to promote Indonesian culture around the globe, the Government are very commitment to spread the ideas through student activities either primary or higher education. Universitas Muhammadiyah of Yogyakarta (UMY) was not left behind in introducing Indonesian culture abroad with one of the Student Activity Unit it is Sentakamudya which is engaged in the art of dance and Karawitan. On this occasion, Sentakamudya will show Indonesian cultural arts at the Embassy of the Republic of Indonesia for the country of Chile. There are five people who become delegates from UMY, they are Mia Claudia, Diah Safitri, Laili Prabaningtyas and Inggar Bagus Wibisana who is a student of UMY along with Bambang Wahyu nugroho, S.IP, M.A. as the adviser of the club. Dr. Ir Gunawan Budiyanto, M.P in his speech on Tuesday (22/8) at Lobby Rectorate when he released this delegation said that they will also become cultural diplomacy agent for Indonesia. “In addition to performing cultural performances in Chile, you will also be a cultural diplomacy agent. Show our art as well as possible, because you will all be ambassadors from Indonesia in other countries, “said Gunawan. 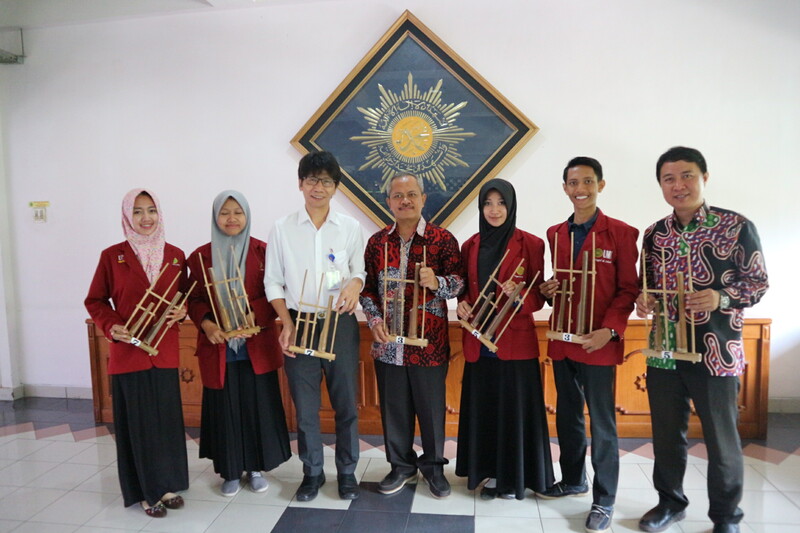 Besides introducing Indonesian culture, it is hoped that students can also promote UMY to the surrounding universities especially in order to make more international cooperation.